Plastic flexible coolant pipe are rigid in nature but most convenient and flexible to work with. Our MANLONflexible machine coolant pipe / flexible coolant tubes are manufactured from engineering thermoplastic- Nylon material. These plastic coolant hose has high impact strength and are adjustable at any length. 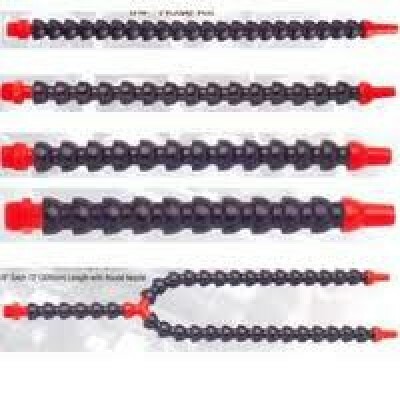 They are availble in different sizes - diameter and length.